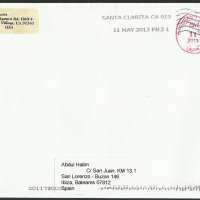 My first cover with Forever stamp from USA. It was delivered on 18 May 2013. In 2013, the U.S. 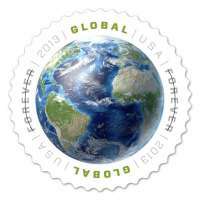 Postal Service introduces Global Forever®, a new international rate stamp. The Global Forever® stamp offers a single price for any First-Class Mail International 1-ounce letter to any country in the world. For the January 27, 2013, price change, the Global Forever® stamp may also be used to mail a 2-ounce letter to Canada. 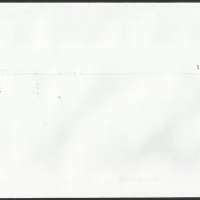 Art director William J. Gicker selected this depiction of Earth by Calvetti. Greg Breeding designed the stamp. The Global Forever® stamps are being issued in self-adhesive sheets of 20 at the $1.10 rate, or $22.00 per sheet.